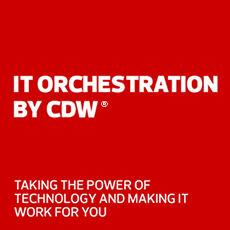 As the comprehensive solutions provider for the IBM solutions portfolio, CDW offers the expertise to fit your evolving business needs. IBM offers a large and diverse portfolio of products and services including big data and analytics, cloud computing, cognitive computing, commerce, Internet of Things, IT infrastructure, mobility and security. Savvy companies know that in today’s data-driven, highly distributed world, there are serious threats that must be addressed head on. IBM Security delivers an integrated system of analytics, real-time defenses and proven experts so you can make strategic decisions about how to safeguard your business. See how IBM QRadar helps security teams detect and prioritize threats across the enterprise and accelerate security operations. IBM QRadar detects anomalies, uncovers advanced threats and removes false positives. Bigfix is equipped with tools to continuously manage endpoints, apply instant network patches and proactively protect against new and familiar threats alike. IBM is a leader in data science platforms. Predict with confidence what will happen next so you can make smarter decisions for your organization. IBM SPSS Statistics offers organizations the ability to do robust, in-depth statistical information analysis without doing any programming — eliminating the risks that come with and greatly expanding on the capabilities of traditional spreadsheets. Get next-generation business intelligence that offers smarter, self-service capabilities so you can quickly and confidently identify and act on insight. Host videos, transcoding, live streaming, automated speech to text and analytics all in a single cloud platform. IBM's Streaming Manager technology, enhanced by IBM Watson AI, is built for secure, business-ready streaming. Broadcast live and on-demand content using a scalable online video platform. IBM Video Streaming is a cloud-based, online video platform and an end-to-end solution for broadcasting live or on-demand content to an external audience. Scale with peace of mind, deliver content anywhere on any device from a cloud based dashboard and utilize Watson AI to make your videos more engaging and functional. Utilize a secure enterprise video platform for internal video communication. IBM Enterprise Video Streaming easily delivers town hall meetings, training and department communications to employees everywhere. Power workforce engagement and collaboration through secure, internal facing video via a live and on-demand streaming platform that automatically updates and maintains new features. IBM Storage is engineered to meet your modern high-performance requirements: ultra-low latency, cost effectiveness, operational efficiency and mission-critical reliability. Maximize your data with cloud object storage, which provides a scalable platform designed to support data management and insights. Achieve instant search and recovery of virtual machines, databases and files from a single global catalog to simplify data recovery and VM access. Deploy storage virtualization and flash performance in one affordable system. IBM Power System servers are built with open technologies that support new apps and unlock next-gen analytics. You can run 95 percent of your x86 apps — and run them faster on IBM Power. See how the IBM Power System AC922 offers the fastest way to deploy deep learning frameworks and accelerated databases with enterprise-class support. IBM Power Systems are designed to deliver outstanding performance with the most modern, powerful and popular databases and analytics programs. Interested in learning more about an IBM solution or offering?